The Titanic Historical Society Inc., which donated a 28-foot, 1-ton replica to the Marine Museum 25 years ago, recently sought assurance that its famous model would not sink into oblivion. Questions over the ship’s status, society members said, were prompted by a series of Herald News stories, including one on Oct. 27 reporting that the Internal Revenue Service revoked the Marine Museum’s nonprofit standing this year as a result of its failure to file IRS 990 forms for at least three years. “We are quite concerned over the troubling news reported to us,” said a letter by Edward Kamuda, Titanic society founder/president. He wrote the letter to City Council President Michael Lund on Oct. 28. A remarkable photograph of a widowed Irish mother and her five young sons who perished in the Titanic disaster is to be sold at auction next month. Margaret Rice (39), a widow, and her sons Albert (10), George (8), Eric (7), Arthur (4) and Eugene (2), who lived in Athlone, Co Westmeath, all died when the infamous ship sank in the north Atlantic in April 1912. Mealy’s auctioneers said the 100-year-old photograph had been kept by the woman’s extended family and passed down through generations. It is being reluctantly sold by a descendant still living in Athlone. The ship was built out of oversized boxes and filled a third of Mrs. Odell’s classroom. The 13 students in her class worked for over a month to create the ship. The “Titanic” contained several areas, from the steering house complete with the ghost of Captain John Edward Smith at the helm, to the furnace room with an Irish worker stoking the boiler. There was even an iceberg cracking through the starboard side of the ship. In Titanic: Triumph and Tragedy, chilling photographs of some of the dead, which White Star circulated in the hope of identifying them, are monstrous reminders of the scale of human loss. The approaching centenary of the Titanic disaster next spring has presented publishers with the opportunity to explore the catastrophe in impressive detail. The heavyweight has to be Titanic: Triumph and Tragedy. This veritable doorstop of a third edition, by two of the world’s most renowned Titanic experts, is illuminating on many levels. One of them is how extensively the Titanic was actually photographed, both inside and out. Moments of true maritime history were recorded, like the picture of Titanic and her sister ship Olympic – later broken up here on the Tyne – bow-to-stern at the yard of Harland and Wolff. Curiosity: Inside the Titanic doesn’t provide unexpected or undiscovered research, but it does tell the story of the ship in a different way: by recreating the events of April 15, 1912, using first-hand stories of the survivors. The two-hour film, a drama-umentary of sorts, includes a fair bit of explanatory work, as befits a show that’s on the Discovery channel, showing how a handful of decisions in the moments after the Titanic sideswiped an iceberg pushed the great ship’s situation from grave to doomed. But the Canadian-British co-production adds some edge to the anodyne technical stuff by showing how real-life folk dealt with a situation that went from curious to disastrous in a hurry. When fourth-grade Gould School reading teacher Susan Kappock had students complete an assignment on the search for the Titanic, she noticed one child gave very detailed answers. After inquiring about student Sajid Quraeshi’s interest, Kappock learned his 92-year-old great uncle, Jack Mafcola, has had a lifelong fascination with the ocean and has become an unofficial expert on the sinking of the Titanic 100 years ago. Mafcola, along with his wife Emily, visited Gould School Tuesday to share with fourth graders the lessons learned from one of history’s greatest peacetime maritime disasters. 3. Plaque For Titanic Officer Will Be At Harbour After All(10 Nov 2011, Cambrian News)Barmouth councillors have made a U-turn on the location for a commemorative plaque for Titanic hero Harold Lowe – after complaints from campaigners. 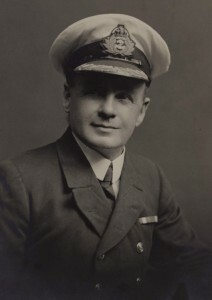 A town council sub-committee decided on Tuesday that the plaque to honour Titanic’s Fifth Officer Harold Lowe would be placed on a wall outside the harbourmaster’s office and a unveiling ceremony would be held on 15 April 2012 – exactly 100 years after the disaster. Over 18,500 visitors have experienced the RMS Titanic in the first 10 days of opening Titanic: The Artifact Exhibition is fast proving to be a hit among visitors of the ArtScience Museum at Marina Bay Sands with over 18,500 visitors in its first 10 days of opening. The use of authentic artifacts and extensive room re-creations combined with the compelling stories of the passengers and crew has captured the imagination of visitors both local and overseas alike. Titanic: The Artifact Exhibition has been extended at the Natural Science Center in Greensboro. Center officials said due to popular demand the exhibit which was supposed to wrap up this month will be extended until January 8. Joseph Conrad’s “Lord Jim” is about a sailor who flees in a moment of crisis and is forever labeled a coward. 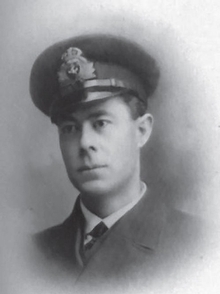 In “How to Survive the Titanic,” British writer Frances Wilson tells the story of a real life Lord Jim: J. Bruce Ismay, heir to the White Star Line fortune. Fleeing the ship in a lifeboat, Ismay himself survived this most mythologized of all maritime disasters, even as thousands of women and children perished on that fateful night in 1912. A farewell message in a bottle that was thrown from the Titanic can now be seen at the Titanic Exhibition in the Cobh Heritage Center. The letter, which was presented by a family member of the victim, goes on display just as next year’s centenary of the ship’s sinking approaches. Jeremiah Burke didn’t have much time to write a last note to his family as the Titanic went down. The 19-year-old, who was traveling from his home in Glanmire, Co. Cork with his 18-year-old cousin Nora Hegarty, simply said “goodbye all” in his last note. His contribution to industry in Birmingham was as significant and compelling as the likes of Matthew Boulton and George Cadbury, yet few are familiar with the name William Hipkins. As managing director, William Edward Hipkins transformed W&T Avery Limited from a burgeoning maker of scales into the world’s largest manufacturer of weighing machines. Born and raised in Dumfries, before joining the ill-fated band of musicians on the White Star Ocean liner, the body of 21-year-old Jock was recovered from the waters of the Northern Atlantic by the MacKay Bennett shortly after the Titanic sank. His unidentified body was buried in May of that year at Fairview Cemetery, Halifax, Nova Scotia. The story of her great-uncle has inspired her to write a book on his life entitled The First Violin and a cookbook presenting a selection of Titanic recipes called Dinner is Served. Since publishing the two books, Yvonne has attracted a lot of interest from far and wide. The display put together by 15 people was inspired by personal memories and a trip to ‘TITANICa’ at the Ulster Folk and Transport Museum’s — an exhibition which opened earlier this year to mark the centenary of the launch of the ship. As part of the creative process, the pensioners explored the history of Edwardian Belfast, the shipbuilding industry in Belfast and the on-board lifestyle of passengers who travelled on the Titanic. Jeff Alderman took a boyhood hobby of building car and airplane models and turned it into a business: Grand Prix Reproductions. Now, Alderman, 53, is a professional model builder who constructs reproductions covering a broad spectrum of subjects ranging from architectural models of houses and landscaping to Boeing 747s to ships. His current project is crafting two ships for the Titanic Historical Society Museum in Indian Orchard, Mass. It is the 100th anniversary of the Titanic which set sail in April 1912. Dropping anchor in Singapore at the Art-Science Museum at the Marina Bay Sands, visitors can walk through 2,500 sq. metres of gallery space for a poignant journey on the ill-fated Titanic and her passengers. The exhibition which is on till April 2012 will feature moving reminders of the people who had taken the trip – a gold pocket watch, a cravat, a pair of brown boots, a silver pot and even a suitcase which had contained vials of perfume. So I put it to him that, while elsewhere in the world it is regarded as iconic, in Northern Ireland we are still not quite certain how to cope with the ship’s loss. “I’m glad that Belfast is finally proud of having built the Titanic”, he explained. “They built an amazing ship. It wasn’t their fault that it sank. It was an amazing piece of engineering. So I am really pleased that they are now proud of what they did.” There used to be an old put-down in Belfast if you mentioned the Titanic with any degree of interest. “It sank – get over it!”. But the finishing touches are being put to a £100m building to mark the centenary. It stands in the Titanic Quarter near the centre of Belfast, beside the preserved slipway where the Titanic was launched all those years ago. The city-based Titanic Heritage Trust has put together a fascinating programme of talks and theatrical events at Blue Coat School, Stoke, to mark the anniversary of RMS Titanic’s tragic sinking in 1912. The five-month programme begins this month. Events include the poignant reflections of David Haisman – a local relative of Edith Brown, the Titanic’s oldest survivor – who himself served in the Merchant Navy and worked as look-out on ice fields across the North Atlantic. There will also be a staged recreation of a 1912 musical evening held to raise money for the Titanic Relief Fund. Don’t start learning the lyrics of the title song in the movie Titanic, or practising the famous DiCaprio-Winslet pose, the Titanic exhibition now on in Singapore is nothing about the movie, and everything about real-life on the iconic ship. Dropping anchor in Singapore at the ArtScience Museum at the Marina Bay Sands, visitors can wander through 2,500 square metres of gallery space for a poignant journey on the ill-fated Titanic and her passengers. The exhibition which is on till April 2012 marks the 100th anniversary of the Titanic which set sail in April 1912 will feature poignant reminders of the people who had taken the trip – a gold pocket watch, a cravat and even a suitcase which had contained vials of perfume. A rare Titanic first class deck plan belonging to a wealthy New York couple who drowned at sea has sold at auction for £30,000. It is thought to be only one of three in existence and was in the hands of a private collector since Ms Bird’s death in 1949. Despite the deck plan’s age and fragile condition, the delicate document has remained in one piece. Other top sellers included the first class D deck toilet keys, which made £43,000, and the SS Birma log archive documenting the final signals Titanic sent, selling for £32,000. A Titanic stamp booklet made £33,000 and three unpublished images of Titanic’s launch sold for £25,000. The legend of Titanic is rising from the murky depths of history and will be on show at the new Paramount Theme Park to open in 2015. Obviously, this will not be the original ship, but a full size replica is being built at the theme park, where visitors can indeed travel back in time and keep the memory of the soon to be lost ship afloat. The park will open for 282 days of the year from 10am-10pm, and will consist of 7 hotels and over 30 themed rides, of which Titanic will be a star attraction in the “Adventure City”, along with others like a roller coaster representation of the film The Italian Job, and a “virtual reality” experience of Mission Impossible. A historically significant and museum-quality archive of material pertaining to the doomed ocean liner the HMS Titanic — consigned by direct descendants of a couple that were rescued when the ship went down the morning of April 15, 1912 — sold for a staggering $100,570 at a weekend estate sale conducted Oct. 21-23 by Philip Weiss Auctions.